I’m not going to lie: Save for the homework that often had me staying up until all hours of the night (my high school was fairly rigorous and involved many all-nighters that were not always the result of procrastination), in the end, I largely enjoyed my high school experience, mostly because I had a pretty awesome and fairly small class of largely awesome people who were willing to set aside most petty differences and coexist with one another. But I fully understand that a great number of people look back on high school as a time that would best be left forgotten, tucked away in the recesses of their memories only to be dug back up in some future therapy session where it will undoubtedly be discovered that this period in time is the reason they have all their troubles in what will then be the present. It’s strange, then, that so many films focusing on said time period tend to remember those times with rose-tinted glasses and fond nostalgia, even those films which aim to take a more cynical approach. 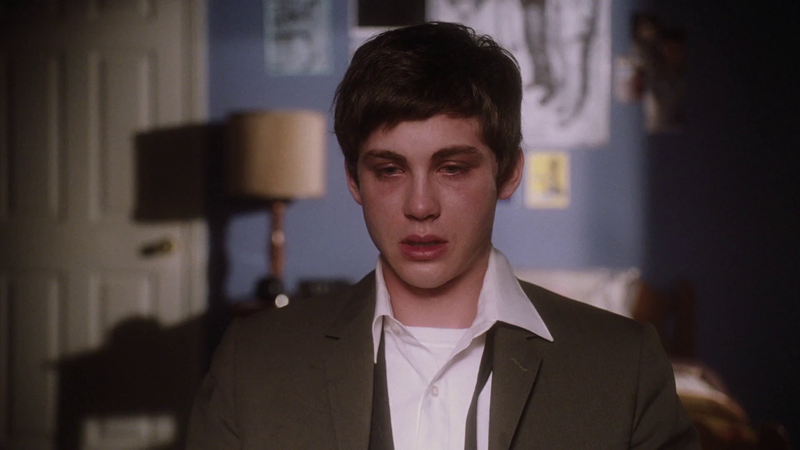 The Perks of Being a Wallflower is remarkable, then, in its remarkable ability to portray, honestly, the excruciating anxieties that come with not just being in highs school, but being a teenager in general. Take it from someone who spent all of his childhood to young adulthood living with secret pains and abusive relationships when I say that this film is uncannily accurate in this aspect. Charlie, our protagonist, is a shy freshman who enters high school with a lot of emotional baggage, as almost all kids his age do. For Charlie, however, the baggage may almost be unbearable, as the most significant event in his life was the loss of his best friend, who had committed suicide just the previous year, leaving Charlie to wander alone into the unknown that is high school. For a while, his only friend seems to be the nameless, unseen, and unheard pen pal he writes to on a regular basis regarding his problems. This small circle of friends is soon expanded by one when he bonds with his new English teacher, Mr. Anderson, as the two connect on an intellectual level over classic literature. An automatic outcast, Charlie spends a good deal of his time alone, not only at school, but at home, too, observing others and taking note of their various idiosyncrasies – their problems, their achievements, their treatment of one another, etc. It is through this that he finally makes his first real friends: step-siblings Patrick and Sam, two seniors who also happen to be outcasts who have long since not only accepted their place in the hierarchy they’ve been forced into, but have come to embrace it, and it’s not long until they’re introducing Charlie to, yes, the perks of being a wallflower. 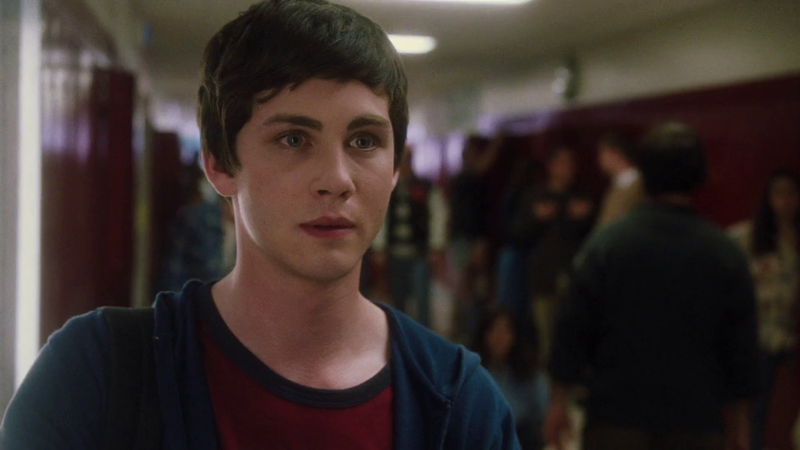 The film is benefited by a cast of gifted actors who fit into their roles exceptionally well, despite all of the actors being too old for the roles – 20-year-old Logan Lerman as freshman Charlie in particular being the standout, but it’s easy to look past it thanks to his appropriately gentle and timid performance. As Sam and Patrick, Emma Watson and Ezra Miller are loveable and attractive, with Watson playing the cute girl with a bad reputation picking up the pieces of her past and rebuilding them into a promising future and Miller her gay stepbrother, avoiding the stereotypical flamboyant portrayal for something far more grounded and joyously friendly, someone who takes life and all its troubles as they come, and usually in good stride, too. Stephen Chbosky, who has been given the unprecedented opportunity to not just adapt the screenplay from his own book but also direct the film itself, thankfully avoids most of the narcissistic self-pitying and shoegazing that one would expect upon hearing the premise of the film, and it also largely avoids cloying and unrealistic fantasies about life that could have easily marred the tone and message of his film. A sidestory involving Charlie’s aunt which unfolds slowly may seem superfluous or sudden in its revelations, but it seemed to me that its purpose was to acknowledge that sometimes teenage angst isn’t just a passing phase but can often stem from some serious issues that need to be acknowledged. As someone who has experienced similar issues in his own life, believe me when I say that it has the potential to resonate, admittedly with some more than with others. The pen pal element, ripped from the original novel, may also seem equally contrived, serving, perhaps, only as a device to allow an in-universe explanation as to why Charlie is providing narration, but I thought it still a somewhat effective way of allowing Charlie to indirectly address members of the audience who may share in his anxieties without him. 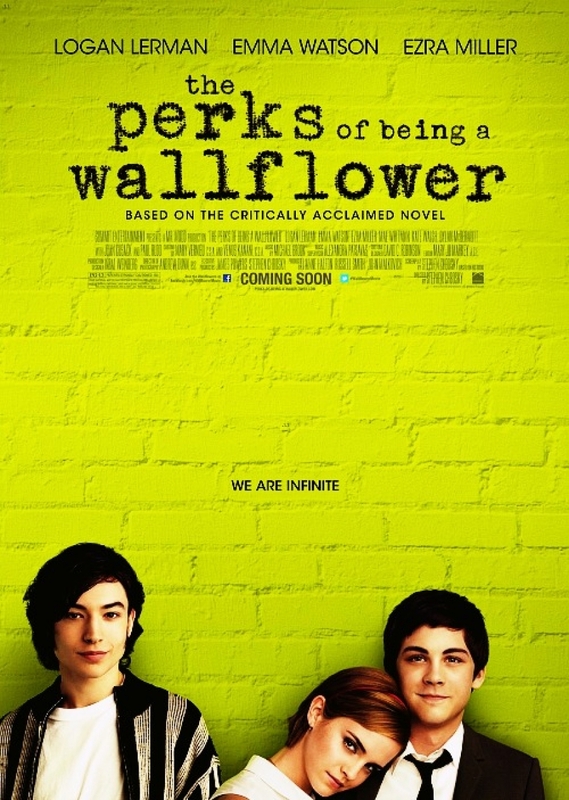 The Perks of Being a Wallflower acknowledges the often very serious hardships that come with growing up, but it’s also quick in emphasizing that there’s still much to enjoy about this period of life if you’re willing to open yourself up to it, too, even if only for a period of time – “We accept the love we think we deserve.” It’s a poignant message that’s delivered through an emotionally stirring, sincere, and even encouraging film. As with all things in life, it isn’t perfect, but getting through those faults to enjoy the best it has to offer is well worth it. 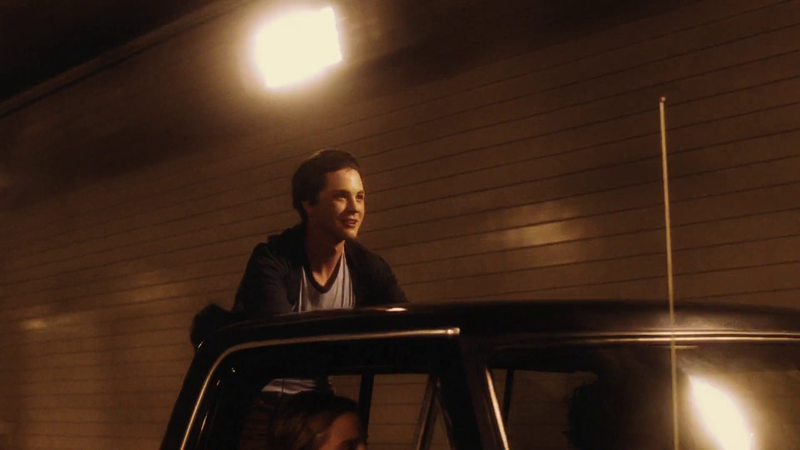 Perks of being a wallflower. | Lily's daily dose of movies.